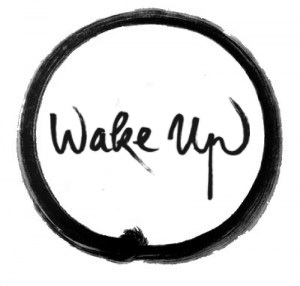 WAKE UP is an international community of young people who want to heal and transform their society, because we know that each of us has the capacity to live in an awakened way, to lead a life in harmony with one another and with the earth. Our practice is the Five Mindfulness Trainings, ethical guidelines offered by the Buddha; the most concrete practice of true love and compassion, clearly showing the way towards a life in harmony with each other and with the Earth. If you are a young practitioner you are urged to join the Wake Up movement in your country. We may feel anger and frustration when we see the environmental degradation caused by our society and we feel despair because we don’t seem to be strong enough individually to change our way of life. Wake Up offers us a way to pool our energy and act in synchrony. Let us get together and form a Wake Up group in our own town. Our collective practice will surely bring transformation and healing to individuals and society. Let us get in touch with young practitioners from Plum Village, both monastic and lay, to get more support and information. Buddhism needs to be recognized as a source of wisdom, a long tradition of the practice of understanding and love and not just of devotion. The spirit of the Dharma is very close to the spirit of Science; both help us cultivate an open and non-discriminating mind. You can join the Wake Up Movement as a Christian, a Jew, a Muslim, an agnostic or an atheist. The practice of maitri, of loving kindness, the practice of sisterhood and brotherhood, is at the foundation of the Dharma. represent the Buddhist vision for a global spirituality and ethic. They are a concrete expression of the Buddha’s teachings on the Four Noble Truths and the Noble Eightfold Path, the path of right understanding and true love, leading to healing, transformation, and happiness for ourselves and for the world. To practice the Five Mindfulness Trainings is to cultivate the insight of interbeing, or Right View, which can remove all discrimination, intolerance, anger, fear, and despair. If we live according to the Five Mindfulness Trainings, we are already on the path of a bodhisattva. Knowing we are on that path, we are not lost in confusion about our life in the present or in fears about the future.